Cabazon at 30: Do the Canons of Construction of Federal Indian Law Remain Viable? 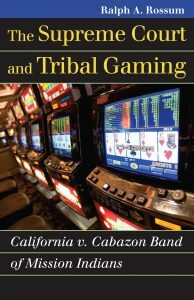 This spring marks the thirtieth anniversary of the United State Supreme Court’s decision in California v. Cabazon Band of Mission Indians (1987), the landmark decision that gave the nation tribal gaming. The most recent statistics available from the National Indian Gaming Commission show what an enormous impact Cabazon (along with the Indian Gaming Regulatory Act [IGRA] of 1988) has had: In 2015, 238 gaming tribes with 474 gaming facilities operating in 28 states generated $29.9 billion in gross revenues. These revenues have helped to promote tribal economic development and self-sufficiency and to fund strong tribal governments. The Court ruled on behalf of the Cabazon Band because it employed long-established canons of construction of federal Indian law; it construed ambiguous language in Public Law 280 to the tribe’s benefit and held that California could not exercise civil-regulatory jurisdiction in Indian County. But, perhaps because of the financial success of the gaming tribes and their aggressive use of casino profits to influence the political process, advance tribal interests, and negotiate more favorable state-tribal gaming compacts (through lobbying, campaign contributions, endorsement of candidates, and political organization), the Supreme Court since Cabazon has become decidedly less inclined to employ these canons to the tribes’ advantage. With one exception, the Court has handed the tribes one defeat after another. The one exception is United States v. Lara (2004). In Duro v. Reina (1990), the Supreme Court held that an Indian tribe lacked sovereign authority to prosecute Indians who were not members of that tribe. Disagreeing with that decision, Congress the next year amended the Indian Civil Rights Act of 1968 in order to “recognize and affirm” the “inherent power” of Indian tribes to exercise criminal jurisdiction over “all Indians.” In Lara, the Court held that this congressional recognition was a relaxation of previous restrictions that Congress had placed on the exercise of the tribes’ inherent sovereign authority and not a delegation of federal prosecutorial power to them, and that, therefore, a federal prosecution of Billy Jo Lara for assaulting a federal police officer did not violate the Double Jeopardy Clause of the Federal Constitution’s Fifth Amendment, where he had previously been prosecuted for and convicted of “violence to a policeman” under the law of an Indian tribe of which he was not a member. The Court’s decision was, from the tribes’ point-of-view, a gratifying re-affirmation of the concept of inherent tribal sovereignty. In the spring of 2008, I attended a conference on tribal sovereignty at the Columbus School of Law at the Catholic University of America; the Plains Commerce Bank case was about to be argued before the Supreme Court, and several tribal leaders and their attorneys were present. I learned from their commentaries that parties filing amicus briefs on behalf of the Long Family were admonished to avoid using the term, tribal sovereignty, for fear that the Court’s reaction to its use would be negative. In Match-E-Be-Nash-She-Wish Band of Pottawatomi Indians v. Patchack (2012), the Court continued to complicate efforts by tribes to bring land into federal trust for gaming purposes The band, an Indian tribe federally recognized in 1999, requested that the secretary take into trust on its behalf a tract of land in Wayland Township, Michigan, which it intended to use “for gaming purposes.” The secretary took title to the property in 2009, one month before the Carcieri decision. David Patchak, who lived nearby, filed suit in federal district court asserting that the IRA did not authorize the secretary to acquire the property because the band was not a federally recognized tribe when the IRA was enacted. Alleging a variety of economic, environmental, and aesthetic harms as a result of the band’s proposed use of the property to operate a casino, he requested injunctive and declaratory relief reversing the secretary’s decision to take title to the land. Without reaching the merits, the district court dismissed his suit, ruling that he lacked standing to sue, only to be reversed by the Court of Appeals for the District of Columbia Circuit. In an 8–1 vote, the Supreme Court affirmed the appellate court and held that Patchak had standing to challenge the secretary’s acquisition of the land. Speaking for the Court, Justice Kagan argued that the IRA requires the secretary to acquire land with its eventual use in mind, after assessing the potential conflicts that use might create. And, she continued, because the IRA encompasses the land’s use, neighbors to that use (like Patchak) are reasonable challengers of the secretary’s decisions, and their interests, whether economic, environmental, or aesthetic, come within the IRA’s regulatory ambit. In Michigan v. Bay Mills Indian Community (2014), Justice Kagan held for a five-member majority that tribal sovereignty prevented Michigan from suing the tribe in question for operating a casino located outside of Indian country because Congress in IGRA had not delegated to the states that power. That would seem to be a victory for the tribes, and a reemergence of a more sympathetic Court, but the tribe’s victory was pyrrhic, for Justice Kagan went on to make clear that Michigan could “resort to other mechanisms, including legal actions against the responsible [tribal] individuals” who were operating the casino. As a result of its rulings in Plains Commerce Bank, Carcieri, Match-E-Be-Nash-She-Wish, Bay Mills, and Adoptive Couple, tribal leaders now seek to keep cases from reaching the Supreme Court, believing that it is better to accept adverse decisions by lower courts, where the impact is geographically limited, than risk having those adverse decisions affirmed by the Supreme Court and applied nationally. In Cherokee Nation v. Georgia (1831), Chief Justice Marshall described the tribes as being in “a state of pupilage.” Because not grown up, they needed the Court’s solicitude and the protection of what developed into the canons of construction of federal Indian law. Cabazon allowed the tribes (or at least the gaming tribes) to grow up. The political muscle these tribes now exercise seems to have convinced the Court that they no longer need the Court’s (or the canons’) protection. Thirty years ago, tribal leaders celebrated Cabazon as a great victory; it was, but its legacy has proven to be more complex and challenging than they imagined at the time. 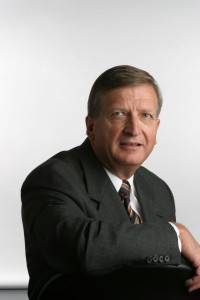 Ralph A. Rossum is the Salvatori Professor of American Constitutionalism at Claremont McKenna College. He is the author of multiple UPK titles, including Antonin Scalia’s Jurisprudence, Understanding Clarence Thomas & Text and Tradition.